Carbonated, clear and unseasoned. The honey used is Danish rapeseed honey and a sophisticated palate may detect tones of mint and vanilla. 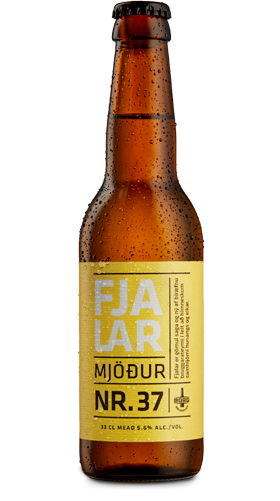 Fjalar is oak matured giving the mead an earthy, wood character. Sweet yet dry. Ingredients: Water, Danish rapeseed honey and yeast.